Springtime is finally starting to show some hints of its arrival, so I guess that means it's time to start spending some more afternoons painting on trash in the streets :). I'm trying to get into some other parts of the city, a little farther from my own neighborhood, which means the walks are getting longer. But hopefully it also means that different people are getting the chance to find one of these pieces lying around. If you live in Paris and want to suggest a neighborhood for my next painting, please feel free to let me know in the comments. I try to spread the love around! 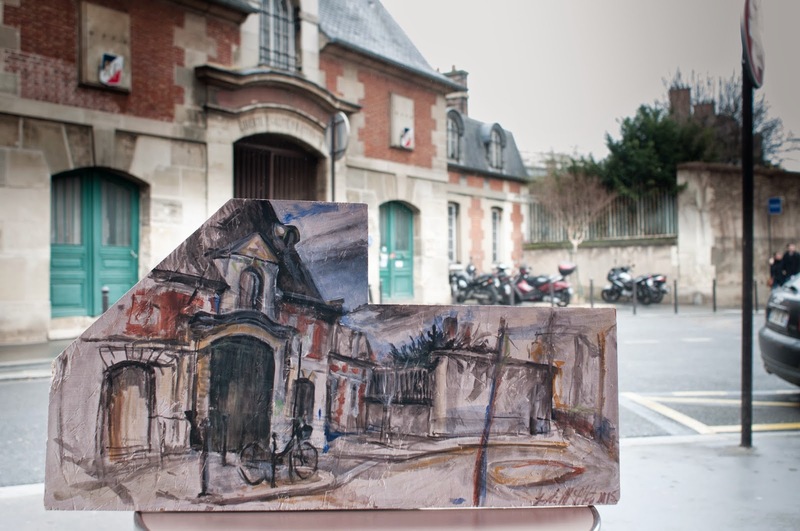 I left this one on the rue Bichat in the 11th, where I often go to draw with a friend of mine. It's a view of the Hopital Saint-Louis not far from the canal. As always, let me know if you find it! 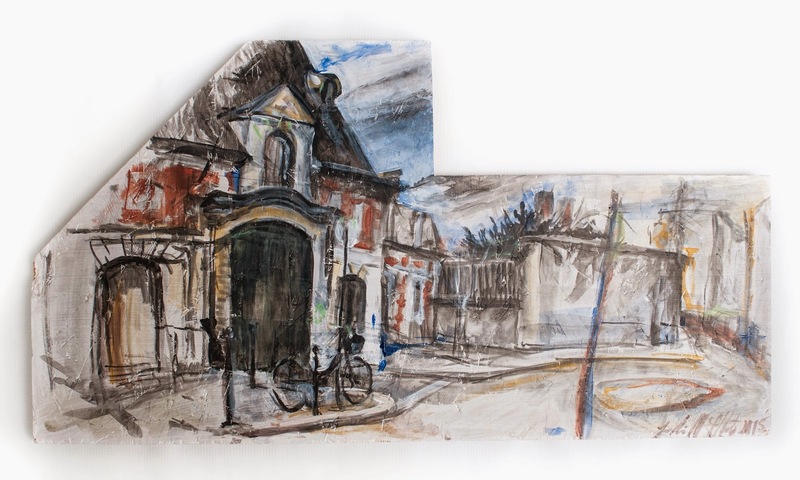 This painting, acrylic on found oriented strand board, 67.5 cm x 36.5 cm, was left on the rue Bichat, near the intersection of rue Richerand, in the 11th arrondissement of Paris on March 29, 2015 at 4:30pm.